Are you tired of paying expensively for your divorce cases? Well, we are the best choice for you. We handle all divorce proceedings and keep you informed throughout the case for only £189. Our professionals work tirelessly without getting you involved saving you almost £800. You can book your Managed Divorce Service package online from your comfort. We are the most affordable team that prevents couples from losing over £1,000 to street solicitors. We assign the most experienced experts to deal with your divorce quickly and effectively. Our team will physically represent you during court proceedings. This means you will no longer be required to deal with the court. With many cases being opened every day, divorce cases have always been difficult to close without experts like us handling them. We have over fifteen years of experience in managing divorce cases. Our main goal is to make the divorce process easier, cheaper, and less complicated than it is today. We are happy to announce that our services have helped more than 80,000 couples across the nation to experience amazingly easier, quicker, and cheaper divorce. We love leaving our couples with a smile in the midst of their emotional distress by conducting their divorce cases smoothly and commendably. Also, we help with property division where there are children within the marriage. You can also contact us for a free consultation on complicated cases. Avoid the expensive street solicitors by contacting Managed Divorce Service team. When you are considering your divorce you will probably want to know the cost of appointing solicitors and other, associated, fees. It may surprise you to learn that many firms do not agree a fixed fee at the outset, and you may end up with a large legal bill for your divorce. Long legal battles can also mean that what was supposed to be a relatively rapid process can extend for months, or even years. With our expert advice, which includes a resolution case handler who will open the case file, and solid expert advice throughout, you will be pleased that you came to Aspire for your divorce. We offer three divorce packages, and a separation package, to suit all budgets and situations. Our bronze divorce package is for those couples who are looking for a basic, but efficient, service. If you have already agreed the financial arrangements around your divorce and want a third party expert to consider what you have written then this is the ideal package for you. It includes a solicitor who will process the divorce. Incredibly, in this package we can agree your divorce in less than an hour in most cases. The package includes a meeting with our skilled FMA approved mediator, follow up meetings as necessary and checks of all of the necessary legal forms.For those couples who require a little more help with the divorce process, our silver divorce package is ideal. This package will help you with if you have issues to resolve with childcare and financial considerations. It includes meetings with our specially trained mediators who can help you to reach an agreement on these sensitive arrangements. This package includes two meetings with our mediators, several (up to six hours) of mediation sessions, a plan to cover financial and parenting matters and legal and quality checks. By using this service you can aim to achieve your divorce in less than a year, and normally in a matter of six to eight months. Like the bronze package, this includes the services of our divorce case handler who will process the divorce.In some cases there are many disagreements to consider and an extra level of expert help and advice is necessary. In this case, we would recommend our gold level of service. The gold service is suitable for those divorcing couples who will need extensive expert assistance with their financial and parenting matters. This service includes the issuing of a clean break consent order which is legally binding, as well as access to our mediation services. 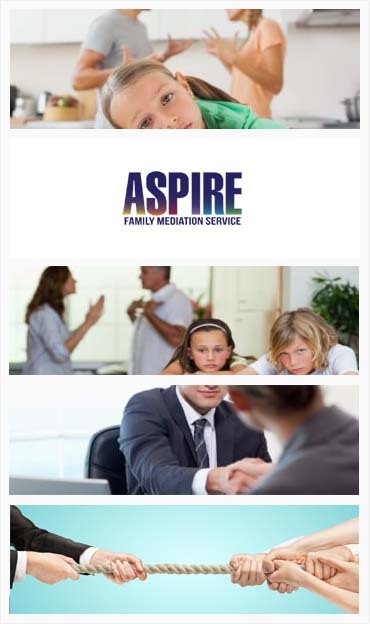 In total, the mediation service offered includes two initial meetings and up to eight hours of mediation. On top of this, we will give your appointments priority and offer the facility for weekend and evening appointments. Like our silver package, this will include the services of a trained divorce case handler who will oversee the whole process for you. It will also include a fully legally binding financial consent order.If you are separating, rather than divorcing, then we also offer a service that includes legally binding separation deeds. Many couples chose this method to resolve their affairs into a legally binding agreement. This arrangement is most suitable in a number of situations. If you have only just recently become married (up to one year) then this is the solution which is most appropriate for you. For couples who have been married for a longer period of time it may be that you do not wish to apply for a divorce just yet or that you need to wait two years as you wish to allow for what is known as a ‘no blame’ divorce. Many couples are co-habiting, rather than married, and in this situation it is appropriate to apply for this form of agreement.